Asha’s classes are challenging but lighthearted, she loves helping others gather insights to transform their lives. 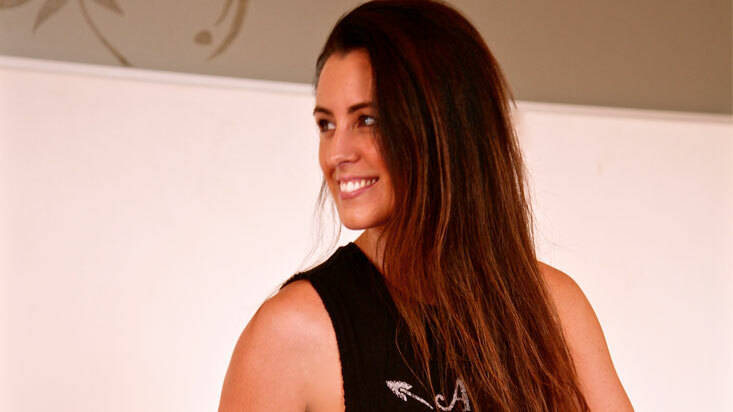 Asha is passionate about sharing the integration of ancient yoga philosophies and the physical practice, which she believes is simply a tool to connect to our bodies and observe ourselves, whilst not taking ourselves to seriously! Half moon, I feel like Im as close as I’ll ever be to a ballerina! A perfect combination of strength, grace, and freedom. What’s the best part of being in the Power Living community? It feels like home. I often say to my friends, I just want to go and lie down in the room at Bondi and that would make me feel better.